This introduction to Containers and Dockers is intended for people new to the technology. Containers and more specifically Docker seems to be one of the current “cool” technologies. A day doesn’t go by that I don’t see at least 5 adverts/tweets/blogs on the subject. However, when I look for tutorials to get up to speed, they are either complex multiple technology, multiple container systems or simple Hello World containers written in Flask. As a windows administrator, neither of these give me the gentle introductory start to containers and dockers that I need. They also make it hard for me to see how Docker would help me in my day to day job. With the release of Windows containers, I at least have a chance. Rather than having to learn Linux, bash and Docker, I can just learn Docker using technologies I’m already familiar with. That said, I still need to learn Docker, which is a technology built for Linux so isn’t as intuitive as you would expect. 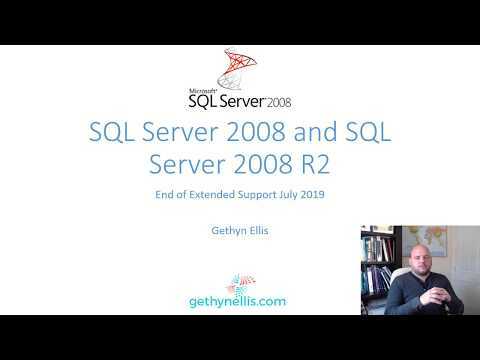 In this series, I will share how I set up my workstation and configured my containers. Hopefully it will save you some time with your studies. To work with Windows Containers, you need a machine/VM running Windows 10 Professional or Enterprise. This will also need to have the Anniversary update installed as a bare minimum. While writing this series, I used a VM running the latest Insider build of Windows 10. Once you have your machine you will need to install the Docker for Windows client. This can be downloaded from https://docs.docker.com/docker-for-windows/. There are two branches of the client, Stable and Beta. You can use either for this. Once you have downloaded your chosen client, run through the installer as normal, accepting the default options. Once the install has finished, you will see a pop-up just above the system tray that reads “Docker is starting…”. However, it won’t be able to start, as Hyper-V isn’t enabled. It could take a while to start as it will be provisioning the VM it uses to run Docker containers. Once everything is set up and running you’ll see the below message pop up. Once Docker for Windows is installed, you just need to check that it’s working. 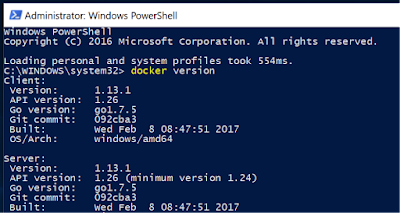 Open a PowerShell prompt as the Administrator and run the command “Docker Version”. The command will take a second to run and will show what version you are running. If this command completes, then it can be assumed that the client installed correctly. 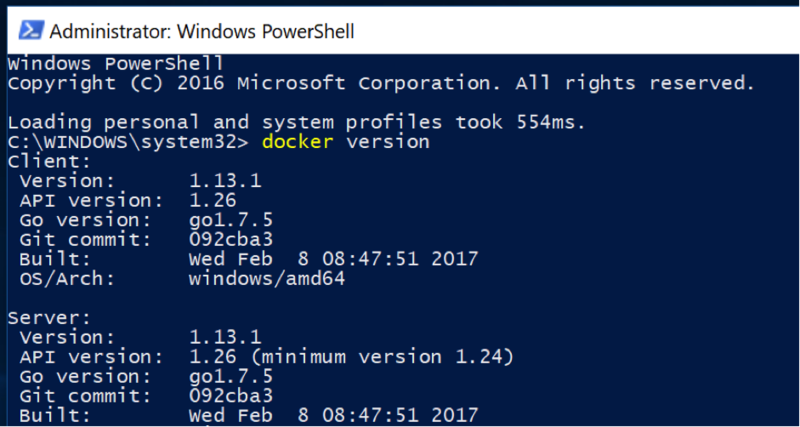 With the client installed correctly in my post I will look at how to switch to windows containers.